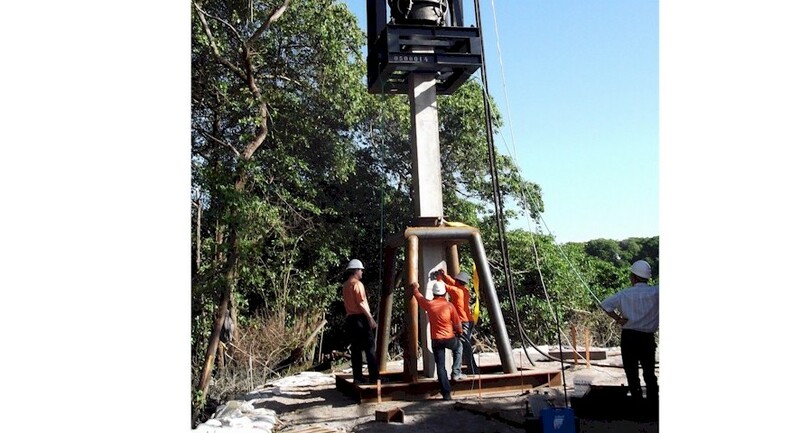 Dynamic Load Testing (DLT) is a frequently used worldwide technique to evaluate the bearing capacity of piles. The Profound PDA/DLT-system is used for both DLT and for Pile Driving Analysis (PDA) as a powerful tool to control the pile driving process and reduce risks involved. The Dynamic Load Test (DLT) is a considerably faster and cost-effective alternative for a Static Load Test (SLT). This is in particular related to Eurocode 7 whereby current pile design safety values are valid till 2017, then either a reduction will be implemented or piles need to have been load-tested. Dynamic load tests can be part of the calculation of safety coefficients for a specific type of pile or installation method, if the DLT tests are calibrated by one static load test in a comparable situation as reference. The DLT tests can be done very time efficiently and at a much lower costs than SLT. With the Profound PDA/DLT-system the bearing capacity of several piles can be assessed in a single day. DLT is used for cast-in-place, prefabricated concrete piles and all types of steel piles. The load is applied by an impact hammer or a suitable drop weight onto the prepared pile head. The generated compression wave travels down the pile and reflects upwards. This reflected wave contains information about the shaft friction, toe resistance and possible pile defects. The measured signals are processed and automatically stored by the PDA/DLT-system. The data can easily be retrieved for further review, graphical presentations or reporting in full accordance with ASTM D4945-12. During pile driving the performance of the hammer, the condition of the cushion, the behaviour of the pile and the driving resistance of the soil are accurately monitored and analysed. Reducing the risk of damage to the pile or hammer. Reducing the risk of damage to the superstructure caused by failure of the foundation. Optimisation of the final depth of driving, which may result in a shorter pile length. Facilitating the prediction of pile driving and selection of the correct hammer for future projects. A quality record of each pile can be supplied to clients and authorities. For more information about Rapid Load Testing, click here. 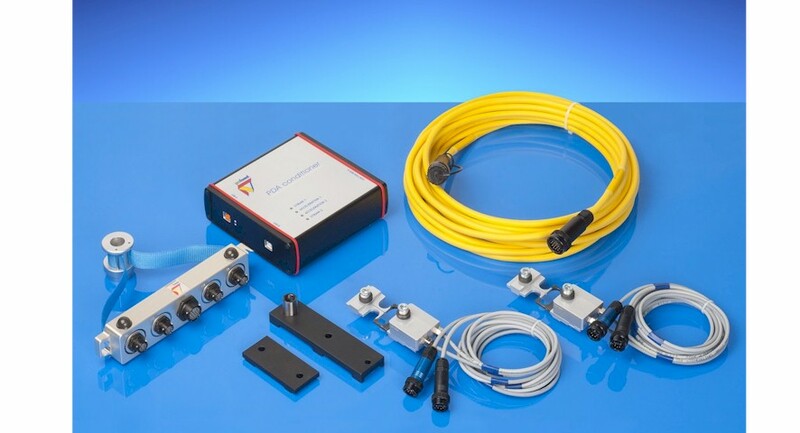 The Profound PDA/DLT-system consists of a PDA-USB signal conditioner, a 4 channel junction box with a 50m cable reel, Windows PC software for data acquisition and reporting, 2 sets of combined strain and acceleration sensors and a set of mounting accessories. The PDA-USB conditioner is connected to a Windows OS WIN10/WIN8 or WIN7 notebook. Depending on the usage frequency and measurement purpose, you can use your own suitable sturdy Windows field laptop to combine with the PDA-USB conditioner. Profound can assist you with the optimum choice. 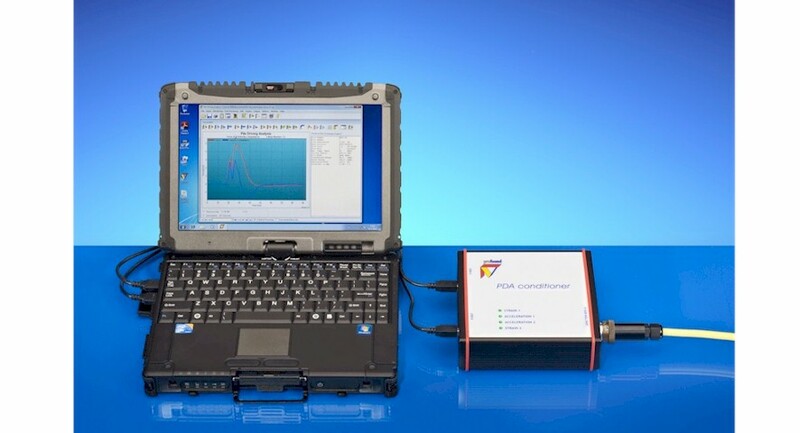 This complete package makes it possible to carry out PDA and DLT tests. In case you need to determine pile (ultimate) capacity and load displacement behaviour, you use the program DLTWAVE for signal matching. With the obtained signals from the DLT test, the dynamic load test is simulated in DLTWave. Both the pile and soil are modelled. Soil model parameters are automatically and interactively adjusted. Measured and calculated signals are matched to determine the capacity and the static load displacement behaviour of the pile from the DLT test results. Dynamic Load Testing (DLT) is a frequently used worldwide technique to evaluate the bearing capacity of piles. DLT is used for cast-in-place, prefabricated concrete piles and all types of steel piles. The Profound PDA/DLT-system is used for both DLT and for Pile Driving Analysis (PDA) as a powerful tool to control the pile driving process and reduce risks involved for prefabricated and steel piles. During testing the instrumented pile is monitored, whereby the Profound PDA/DLT-system directly displays and saves the measurement data. 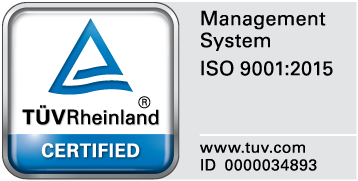 The PDA/DLT-system meets national and international standards, such as ASTM D4945-12. High strain dynamic tests require special knowledge and experience. Only qualified engineers should directly run the tests and do further interpretation. New users are strongly advised to follow a training course at the Profound Academy where operation of the system, the theory of PDA/DLT and interpretation of the measurement signals are discussed. Profound, pioneer in the field of professional pile testing both in research and equipment, has over 50 years of worldwide experience and continuously strives to make the best technology available to clients. PDA/DLT is backed by over 40 years of pile testing experience for clients all over the world, onshore and offshore.